FENDI celebrates Valentine's day by introducing a romantic and playful Capsule Collection, inspired by the symbol par excellence of love: the heart. The Momento Fendi Lovers gives a romantic touch to the watches featuring a “Lovers” design by Karl Lagerfeld. 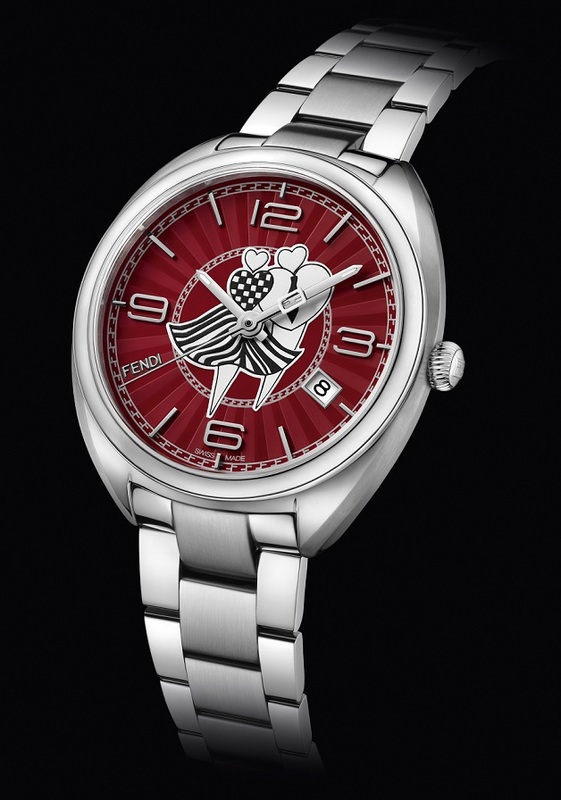 Created for elegant and sophisticated women, it features two heart-lovers designed by Karl Lagerfeld in black and white tones, with luminescent hearts lighting-up the red dial. Elegantly combined with silver hands, numerals and indexes, with polished and satin-brushed stainless steel case and bracelet, this new timepiece has a cool and very loving allure. The distinguished Momento Fendi’s feature is maintained and enhanced: once a minute, when the minute hand and the second hand align, the iconic FENDI signature appears designed by this magical conjunction. This recurring effect celebrates the FENDI’s unique attention to detail while adding a secret echo of the Roman Maison’s heritage to every minute of the day. Arty and refined, it perfectly embodies the Valentine’s Day essence, appealing women who appreciate a classy elegance, yet with a romantic and unexpected twist. 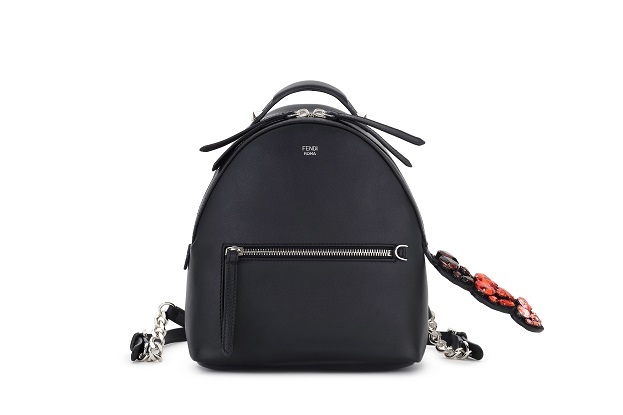 The collection features a Mini By The Way and a Backpack with a croco-like tail in leather embellished with red and pink heart-shaped crystals.A unique Strap You is decorated all over with hearts and silver conical studs. 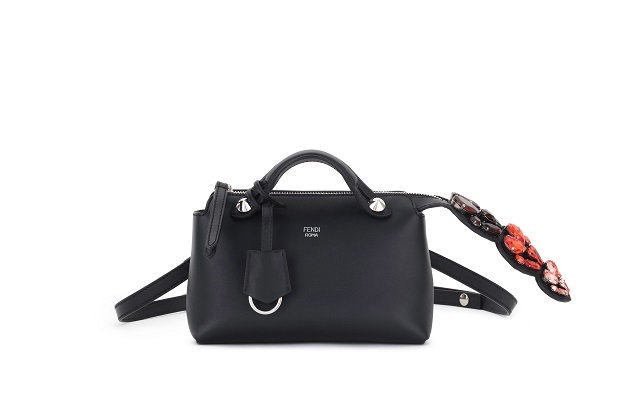 The Maison’s cool and trendy bags are created in soft black nappa leather with a luxurious touch of red crystals. 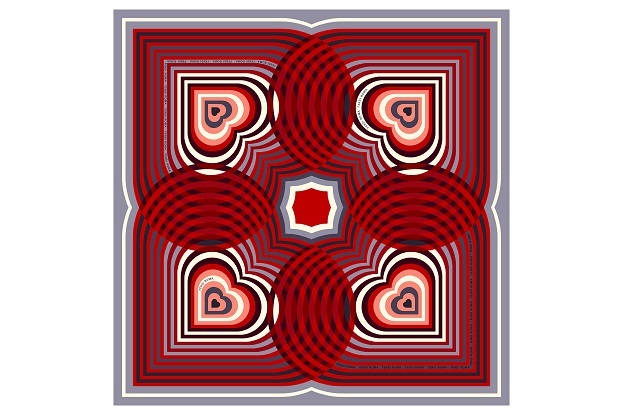 A special textile in silk, with linear hearts in red, white, blue and lilac-grey, that intersect continuously creating a modern and hypnotic pattern. While the iconic Strap You is invaded by an explosion of red hearts. Hearts become the leitmotiv for textiles and accessories too. 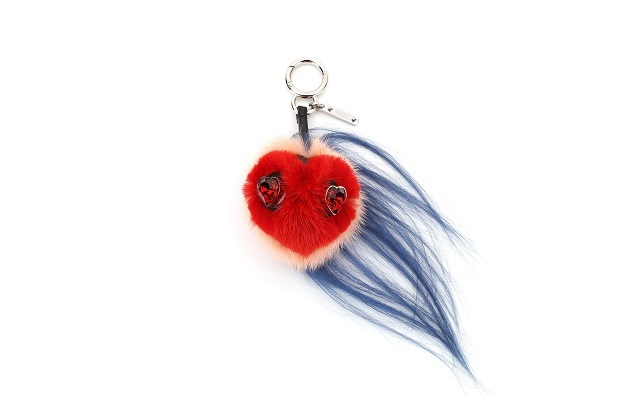 A quirky touch is given by the heart furry Bag Bug charm, created in red and pink mink with heart shaped crystal eyes and kiddasia blue crest, completing this luxurious and romantic collection.